The unique combination of the effective skin care and coconut pleasure for the senses. The gentle peeling without the risk of irritation. Directions for use: apply on a wet body skin and gently massage. Rinse thoroughly. Use 1-3 times per week. 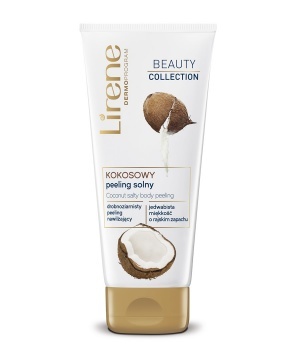 It is recommended to use together with Lirene body balm.